Marks & Spencer occupies a prime site in Battery Retail Park on Chapel Lane, about a 3.64 mile driving distance south-west from the centre of Birmingham, in Selly Oak (a few minutes walk from Selly Oak Park). The store serves people from the locales of Weoley Castle, Edgbaston, Bournville, Selly Park, Bournbrook, Harborne, Selly Oak and Stirchley. If you plan to drop in today (Thursday), its opening times are from 8:00 am - 8:00 pm. This page includes information on Marks & Spencer Selly Oak, Birmingham, including the operating hours, place of business address details or contact info. Marks & Spencer occupies an ideal site right near the crossroads of Chapel Lane, Bristol Road and Elliott Road, in Selly Oak, Birmingham, at Battery Retail Park. Only a 1 minute drive from A38 / Bristol Road, The Dingle, Rebecca Drive and Harborne Lane; a 4 minute drive from Linden Road, A38 / Aston Webb Boulevard or Oak Tree Lane; or a 9 minute trip from Harborne Park Road or Watford Road. For drivers planning on using GPS systems to get here use postcode B29 6SN. Reachable from the bus stops at Gibbins Road, Sainsbury's and Selly Oak Station. Available by way of routes 61, 63, 76, 84, 98, 144, 10S, X61, X64 and Outer Circle 11A. Selly Oak Train Station (710 ft), University Train Station (3510 ft) and Bournville Train Station (1.19 mi away) are close by. London Midland Trains line is your regular option. In the vicinity you may visit Cherry Oak School, Victoria Hall (University of Birmingham Halls of Residence), Selly Oak Library, Raddlebarn Primary School, Selly Oak Park, Queen Elizabeth Hospital Birmingham, Tiverton Academy, St. Mary's Church and University of Birmingham Selly Oak Campus. At the time, Marks & Spencer operates 9 stores in Birmingham, West Midlands. 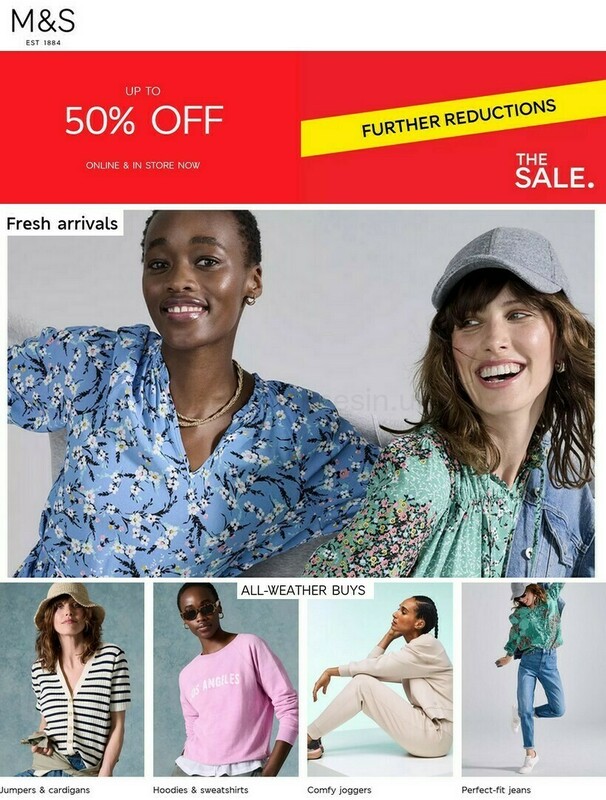 For more Marks & Spencer click on this link with a complete directory of all locations near Birmingham. Please note that over UK legal holidays, typical store hours for Marks & Spencer in Selly Oak, Birmingham may be revised. Throughout 2019 these revisions are applicable to Xmas, Boxing Day, Easter Monday or Spring Bank Holiday. For specific information about the holiday opening hours for Marks & Spencer Selly Oak, Birmingham, visit the official site or call the information line at 0333 014 8555. Visit Battery Retail Park today for additional fine quality stores and great offers. You may also find Argos, Next, Poundland, Currys, JD Sports, Superdrug, Card Factory, Costa Coffee, Nando's, Iceland Food Warehouse, Wilko, Metro Bank, Greggs, The Works and Homebase at this centre. Help Opening Times in the UK keep the information as accurate as possible. Please utilize the report a problem form to report any errors with the location details or operating times for Marks & Spencer in Selly Oak, Birmingham. You are encouraged to help future customers by expressing your opinions on Marks & Spencer, by using the star rating scale and the box below.